Italo Rota, an Italian architect who has been calling for “the end of minimalism” in design, has refurbished the Casino Kursaal’s interiors. The $800 million Oslo Opera House designed by Norwegian architects Snoehetta opened on Saturday with King Harrald in attendance. 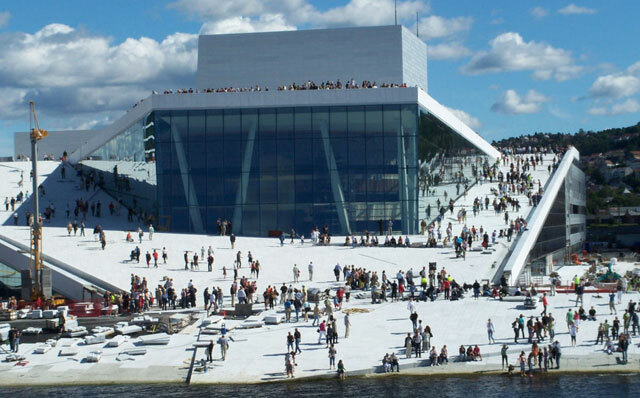 Oslo’s Opera had been operating from a run-down movie theatre before the building was constructed.